I instantly fell in love with this pearl sweater when I received it in the mail about a month ago. Although I never wore it to class (my school style is a bit more laid back), I have worn this sweater out at college and to parties since I've been home. 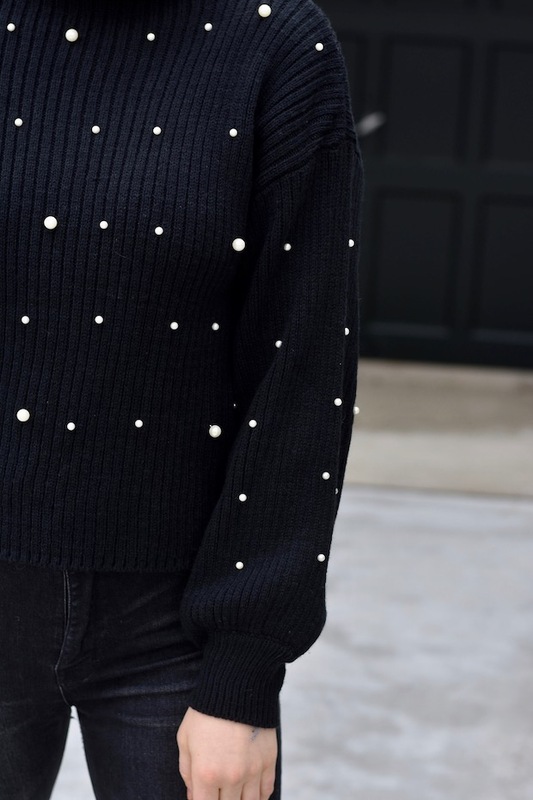 Especially in December when I wanted to feel a little extra and a little festive, I loved pairing this sweater with my typical all-black going out outfits. For only $20 this baby is worth every penny and the quality is fabulous for such a good price! 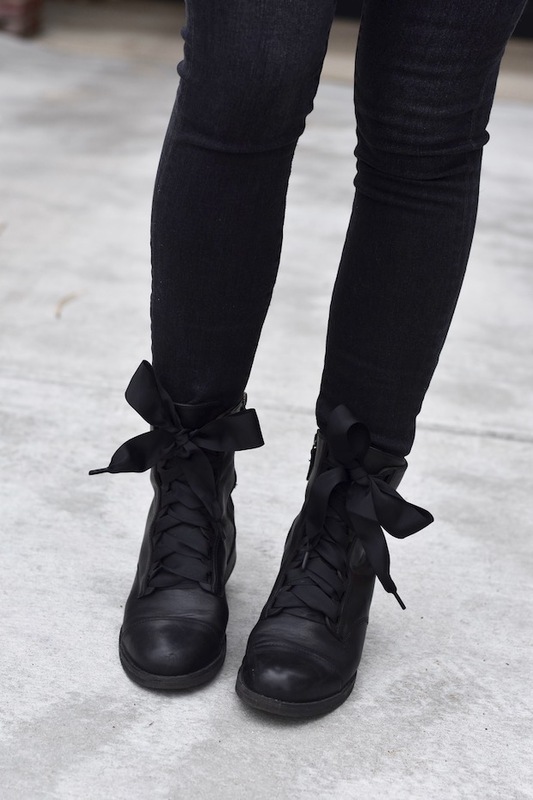 I want to take a second to talk about these boots– never would I have imagined myself wearing anything resembling a combat boot, but the giant grosgrain bow laces on these made them way too hard to resist. 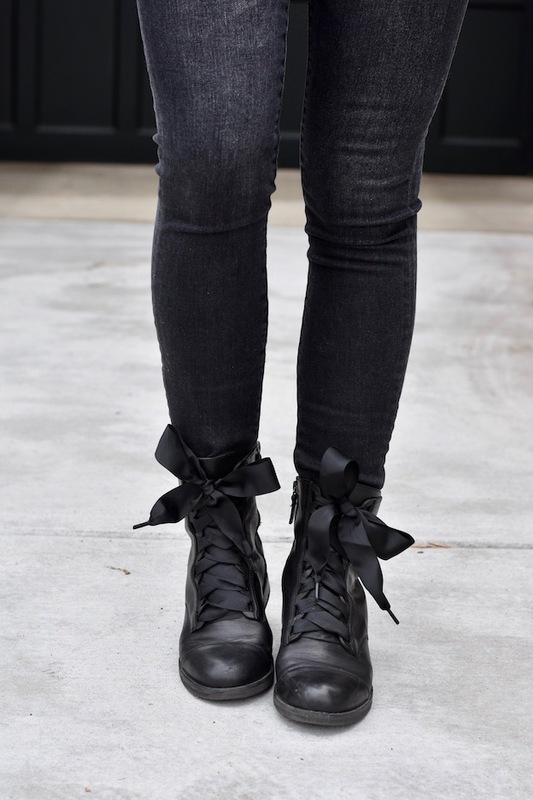 These were a Black Friday purchase from Nordstrom and I can not find them online, but this pair is quite similar (more sizes available here). 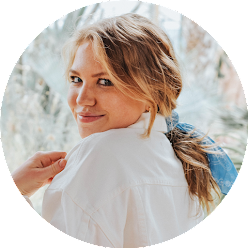 I love how comfortable and versatile they are, and how they are edgy, girly, and a little out of my comfort zone all at the same time!